Our work speaks for itself. 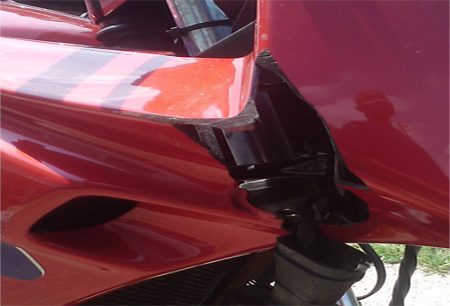 We specialize in ABS and PP plastic fairing repair. Chris Stratton, MS' senior body tech has 20 years experience working with these materials. In terms of modifications and repairs, the sky is the limit especially with these two substrates. 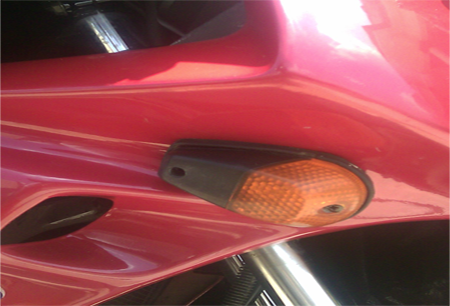 We can even repair large areas of missing material or make/modify custom sections. Repairs are guaranteed not to fail under normal operating conditions. 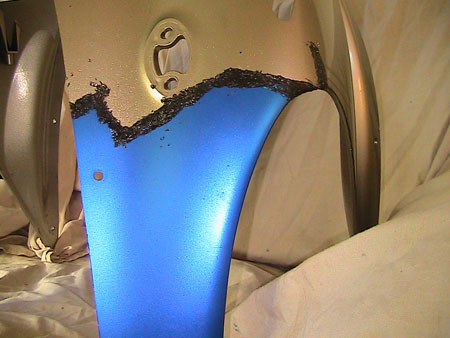 Average repair and paint cost for one color on a single fairing is $165. Average repairs for an entire bike in a single color are $650. Prices can differ in both directions but these are common prices - not just the low prices. For detailed information on what to expect for pricing check out our Pricing and Estimates Page. For an exact quote send pictures and a description of the work desired to quote@msrecycle.com. 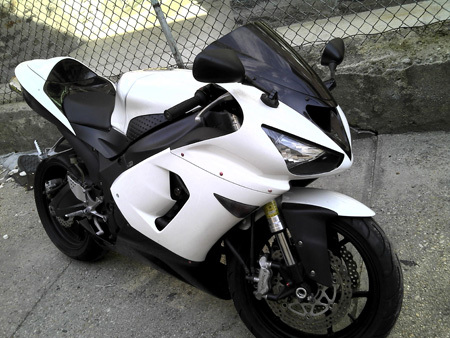 We recommend you also text message us at 302 381 7161 and let us know you sent us an estimate request via e-mail. This way in the event that our server's spam filters are hungry, we will know to look for your e-mail in all of our mail folders.